"We are aiming to sell 1 million smartphones in 2014 and are on track to achieve our target," Huawei Telecommunications India CEO Cai Liqun said. NEW DELHI: Chinese telecom firm Huawei today said it aims to sell 1 million smartphones in India this year as the company charts out a new retail strategy with launch of Honor series, which will be its online only brand. The company launched four devices under Honor series, which will be available exclusively on Flipkart and there will be no offline retail. "We are aiming to sell 1 million smartphones in 2014 and are on track to achieve our target," Huawei Telecommunications India CEO Cai Liqun said here. The company said as part of the strategy, it will sell Ascend series handsets through offline retail and Honor series through online medium with Flipkart. "Honor series will be our online brand. 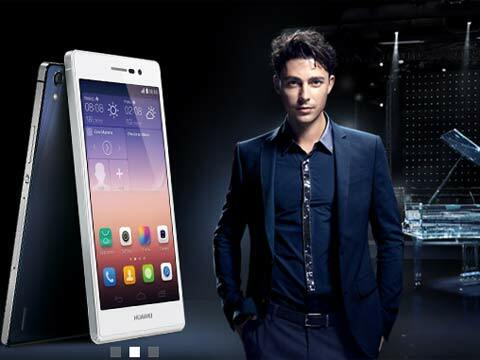 The Ascend series phones will be available on retail stores and we will continue to strengthen our distributor network," Huawei India President (Consumer business group) Allen Wang said. "At the onset of the festive season, the devices including - two smartphones - Honor 6 and Honor Holly and two tablets - Honor X1 and Honor T1 will be available to the 26 million regular visitors of Flipkart," Wang said. Priced at Rs 19,999 and the flagship device, Honor 6 is a 4G phone, which comes with 3GB RAM and 13 megapixel rear camera. Asked about launch of more 4G devices in India, Liqun said, "The availability of more 4G devices in India will depend on the network rollout by operators. The USD 100 4G phone is likely to be available in China by the end of this year and it will also be brought to India later depending on the rollout by telcos," Liqun said.